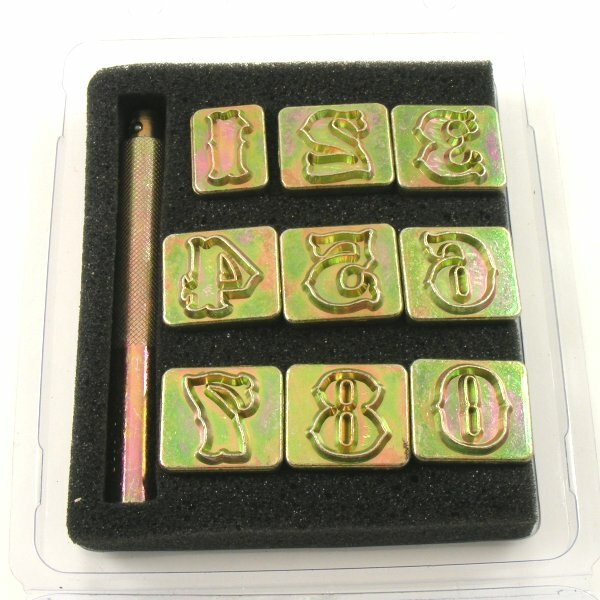 This is a set of decorative number embossing stamps for leather. They measure 20mm tall. The numbers come with a separate handle which slots into the stamps. 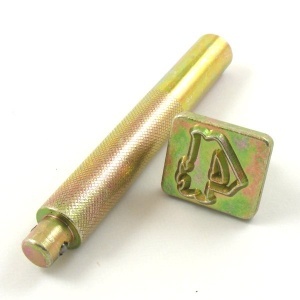 These stamps are designed for use on Veg-tan tooling leather, which is generally dampened before use for a deeper impression. We also have this number embossing set in a smaller size.